Rui or Katla fish 500g, seasoned with turmeric and salt. Salt and silted green chili as required. This recipe is a simple authentic Bengali fish dish for a daily meal, simple but delicious - barir khabar. This fish Stew is a dish best served hot with plain hot rice or flat bread. Fry the fish, do not fry long, keep aside. Now again add bay leaves and peppercorn in that hot pan, add all the vegetables, do not fry much, add ginger paste and masala paste, stir a little, add salt. After a few minutes add fish and pour hot water, let it cook on high flame for a few minutes, and again simmer until it is cooked well, about 5 to 10 minutes. Fish stew is ready. Add half an hour to cook the dish. 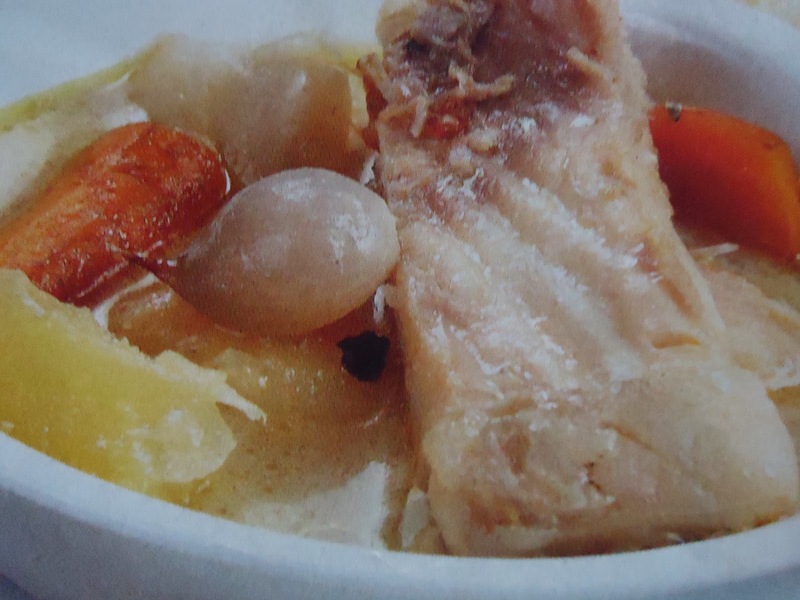 Fish stew has 325 Calorie Energy, This recipe is and healthy.